This tech startup is lean, nimble and fast—and independent of the rest of Brunswick’s companies. One of the more interesting companies in this year’s awards was a new Brunswick Corp. brand that doesn’t really identify with the parent. Nautic-On, in fact, goes out of its way not to be seen as a subsidiary of the industry’s largest conglomerate. Based downtown in a no-frills office in Chicago’s “Loop Lab,” among dozens of other tech startups, Nautic-On was the first company to graduate from Brunswick’s quasi-secretive innovation incubator, iJET Lab, at the University of Illinois. Nautic-On began as a concept several years ago just as the Internet of Things was taking hold. The idea was to develop a competitively priced Wi-Fi-connected telematics system that would extend beyond Mercury or any of the other Brunswick brands. The company wanted its telematics system to work across the boating spectrum. Executives overseeing the start-up decided it should be positioned as a standalone brand that did not scream its affiliation with Brunswick. It has since been organized like most tech startups, with a small staff, barebones offices and a rush to bring the product to market. 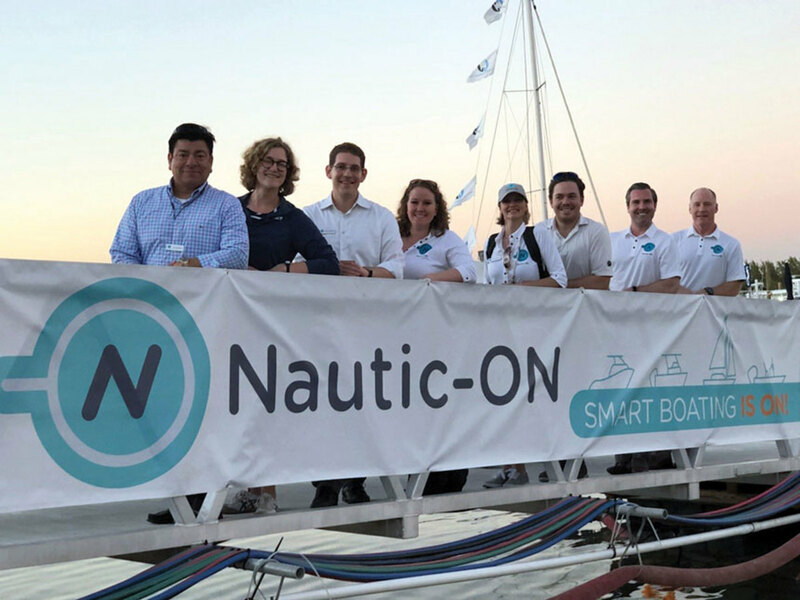 The half-dozen tech-savvy staffers talk about eliminating “pain points” in boating and how Nautic-On is a “living brand.” They ate, slept and breathed new-product development for the nine months it took to finalize a market-ready telematics system. Officially launched last February at the Miami International Boat Show, Nautic-On monitors a boat’s battery and bilge systems, as well as the engines and its position. Sensors send data to a central hub that relays it to the owner’s smartphone and iPad if they’re at home, or helm console when they’re on board. 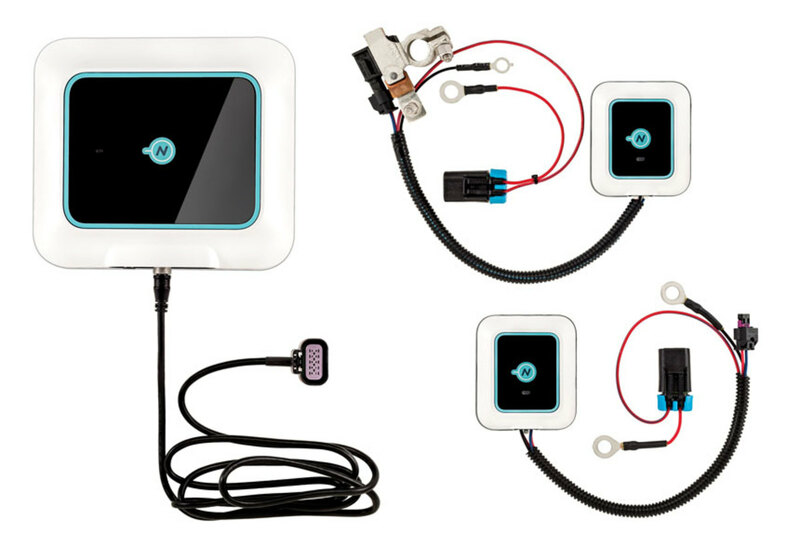 With the tagline “Smart Boating Made Easy,” Nautic-On is modeled after systems in smart cars and homes. We believe this will be a company to watch as it incorporates more features into the expandable system, eventually allowing technicians to access the data. In this video from IBEX 2018, Adam Schanfield, general manager of Nautic-On, talks about how telematics can lead the industry. In this video from IBEX 2018, Lou Sandoval, Nautic-On national director of business development, talks about a seminar on the connected boat that he led with several manufacturers.